Hanover, New Hampshire: Dartmouth College Press, 2011. Steve F. Anderson’s book is a very valuable contribution to the field of film history, although one of the points Anderson makes is that “film history” is too simplistic and excludes too much from consideration. To take each word in turn, Anderson moves beyond film to also address television, online video games and “virtual memorials” in the book, arguing that “we must cultivate an awareness of too easily marginalized media practices” (16). 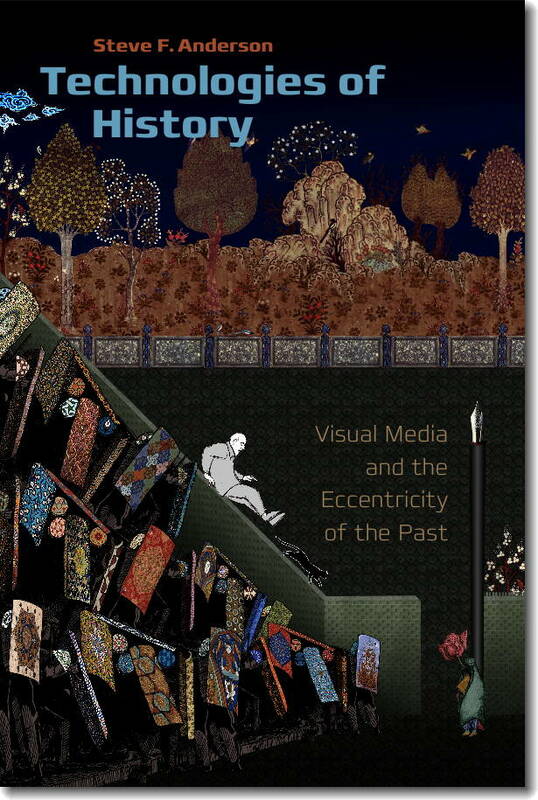 The title, Technologies of History, was chosen to acknowledge his debt to Foucault and to signal the attention paid to the material construction of history in visual media. Early in the introduction, Anderson notes that he will use the term historiography rather than history throughout the book, again to highlight the processes of production in any discussion or representation of the past. The introduction (indeed, the book as a whole) is tightly written and readily comprehensible. Its 16 pages set up the book well but would also serve as useful reading for those trying to gain a sense of the key issues and theories in film historiography. One of the book’s strengths is its respectful, insightful discussions of a wide range of visual media: Star Trek, Quantum Leap, and the work of filmmakers Marcel Ophüls, Craig Baldwin, Peter Forgacs, James Benning and Jean-Marie Straub and Danièle Huillet (to name a few). The book is 170 pages long with 20 pages of endnotes and a comprehensive bibliography. In addition to Foucault, another clear influence on Anderson is Robert Rosenstone (who provides an encomium for the book on the back cover). Anderson discusses Rosenstone’s 1995 work Revisioning history: film and the construction of a new past in Chapter 1, ‘Fantastic History’. While acknowledging Rosenstone’s interest in “postmodern history”, Anderson notes that Rosenstone only analyses films that engage seriously with the past in a manner analogous to conventional history writing – Bill Nichols’ discourse of sobriety, in effect. Anderson distinguishes his approach from Rosenstone’s by arguing that, whereas Rosenstone finds historiographic legitimacy when filmmakers try to work like “real” historians, Anderson is more interested in those moments of historiographical excess, fantasy and flights of speculation. Anderson describes this as “moments of textual parapraxis”, when visual historiography reveals “what is missing or repressed within conventional history writing or indeed the cultural unconscious” (23). Anderson builds on this psychoanalytical approach in the next chapter, ‘Cultural Memory’, when he argues that much visual historiographical work revolves around trauma. So: historiographical visual media as a form of working through, as we endlessly revisit the JFK assassination. He argues that “[t]his repetition suggests either that historical trauma is not ‘curable’ through the means available to film and television or, perhaps more likely, that the exorcism of cultural trauma is only part of the cultural significance of this type of work” (50). To add my own to his, perhaps these moments of loss, crisis and conflicting interpretations simply offer fruitful territory for exploration, and a ready market of consumers. Do people actively engage with visual media (or written media, for that matter)? Or do people turn inwards and engage with their own concerns or perhaps celebrity culture (both facilitated by new social media), in some kind of causal relation to the proliferation of available information? Of course, the answer is some people do, some people don’t. Anderson is exercising his own agency and his own commitment to praxis by erring on the side of optimism. In the ‘Introduction’, he argues (quite rightly) that viewers “can and should be construed as active participants” in a dialogic engagement with visual historiography (12). We all form our own view on what we watch or read, drawing on our own experiences, psyches and cultural (and historical) capital. Anderson, while stating that an analysis of new social media is beyond the scope of his book, notes that these technologies represent “a culture of continuing fascination with present-tense historiography – the sense that we are, for each of us, at any moment, potential agents in making our own history” (100). This slide from the political to the personal is emblematic of the book. The discussion soon turns from praxis to parapraxis. To be fair to Anderson, he is not alone in this. Praxis is difficult to talk about in relation to visual media because it is virtually impossible to make out a case from screen to action. Perhaps psychoanalytic theory is useful for visual media because we all experience it as individuals, in a rich, affective fashion offering much material for (speculative) analysis. In the ‘Conclusion’, Anderson states that “[d]espite all efforts to constrain, explain, and domesticate it, the past remains eccentric” (167). The past is not anything other than itself – the past is the past; huge and overwhelming, exceeding our grasp and understanding. However, this does not mean the attempt to engage with the past is not worth it. Anderson put it nicely himself when he described visual historiography as having an “asymptotic relation to the possibility of historical truth” (101). Perhaps we are the eccentrics – the makers and consumers of visual media.